Dec 7, 2011 — A Christmas Miracle revisited! was posted on December 7th, 2011 at 8.01pm and is filed under Blog. This entry has 9 comments. You can follow any responses through the RSS 2.0 Feed. who’s super excited? this guy! Yay! Happy papercrafting! Send me a photo of your own village! Not sure what you mean… I don’t email anyone who comments unless they have a specific question or something. Thank you so much for posting this–it’s beautiful! My daughter, mother and I will be making this soon. Thank you so very much!!! I am thrilled to find this village. Loved it as a child. 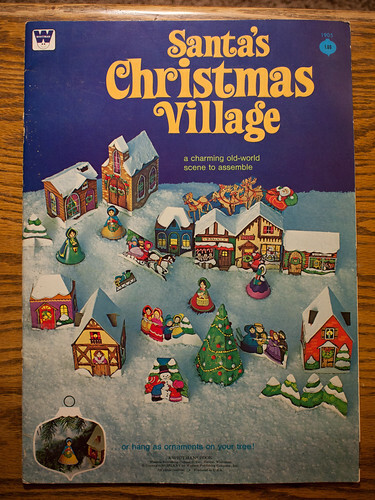 Had this village as a kid and was super happy to find your files. Had them printed on photo paper and they came out great. Thanks so much for sharing!